Fessenden Park, Wisconsin Ave. & Fessenden St.
We're celebrating Earth Day a week early! Join Rock Creek Conservancy and Tenleytown Main Street on Saturday, April 13 for the 11th Annual Rock Creek Extreme Cleanup. Click here to register The Rock Creek Extreme Cleanup allows volunteers to clean-up the lands, banks, tributaries, and waters of Rock Creek throughout Maryland and D.C. 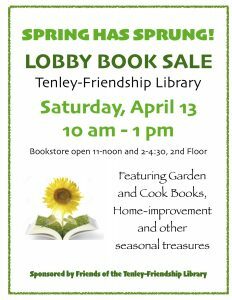 The goal Continue Reading..
Spring book sale at Tenley-Friendship Library, Saturday, April 13, 10 a.m. til 1 p.m. Come browse for Garden Books, Cookbooks and other seasonal treasures. The Friends of the Library Bookstore will also be open, from 11 a.m. - 1 p.m. and then 2 - 4:30 p.m. Sponsored by the Friends of Tenley-Friendship Library. 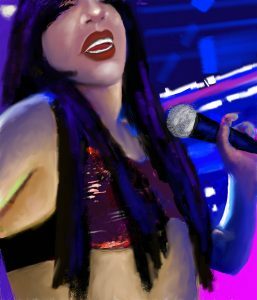 Bring your iPads or sketchbooks to draw from a live Drag Show. Featuring performances by Drag Kings and Queens from the greater Washington, DC area and New York City. Artist Richard Peterson, whose work is included in the exhibition Forward Press, will lead participants in an iPad drawing workshop. Since 1975, Peterson has explored the Continue Reading..